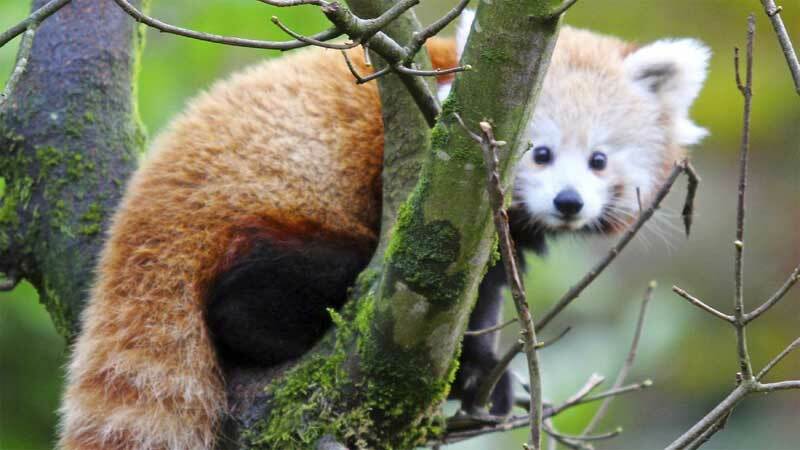 Officials say a rare red panda is safe and sound, a day after it escaped from Belfast Zoo in Northern Ireland. The animal went missing on Sunday, and Belfast City Council had urged members of the public to report any sightings to the zoo. The council said Monday that the mammal had been found, adding that "it is safe and well and has been returned to the zoo." Two red panda cubs were born at the zoo in June, bringing the population there to four. A small tree-dwelling mammal native to the Himalayas, the red panda is not closely related to the better-known giant panda. The International Union for the Conservation of Nature says the red panda faces a very high risk of extinction due to habitat loss. Officials say a rare red panda is safe and sound, a day after it escaped from Belfast Zoo in Northern Ireland. The animal went missing on Sunday, and Belfast City Council had urged members of the public to report any sightings to the zoo. The council said Monday that the mammal had been found, adding that it is safe and well and has been returned to the zoo. Two red panda cubs were born at the zoo in June, bringing the population there to four. A small tree-dwelling mammal native to the Himalayas, the red panda is not closely related to the better-known giant panda. The International Union for the Conservation of Nature says the red panda faces a very high risk of extinction due to habitat loss.